74 people have viewed this property this week. 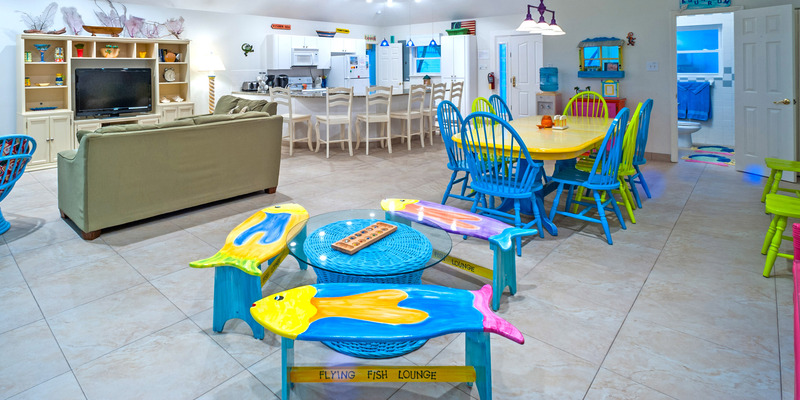 Coconut Beach is an oceanfront family-friendly oasis located in the picturesque Rum Point community along Grand Cayman’s north coast. 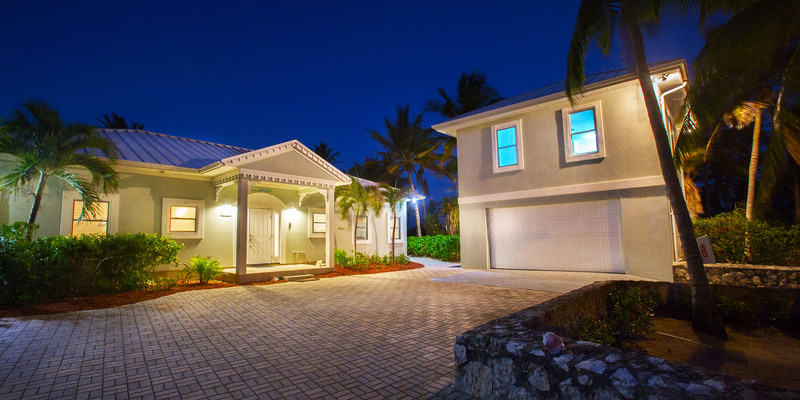 This large, one-story beach villa spans 4,200 sq. ft. and can sleep 12 guests across 5 bedrooms in the main house, plus a detached 1 bed/1 bath studio suite above the garage. 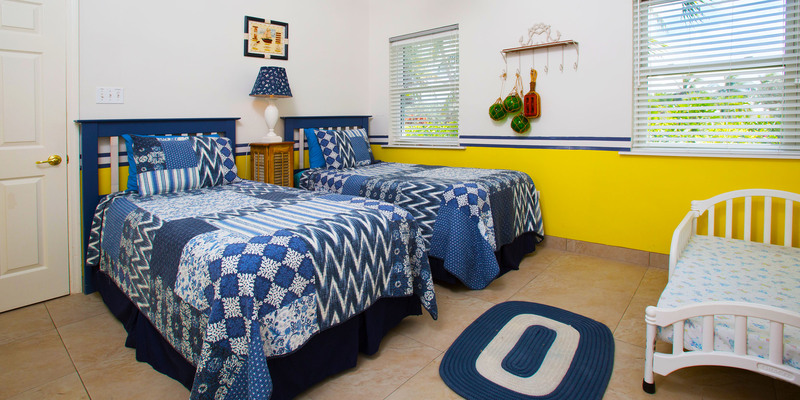 Perfect for vacationing grandparents, or in-laws, the studio suite provides added privacy and is never rented out to unrelated guests during your stay. 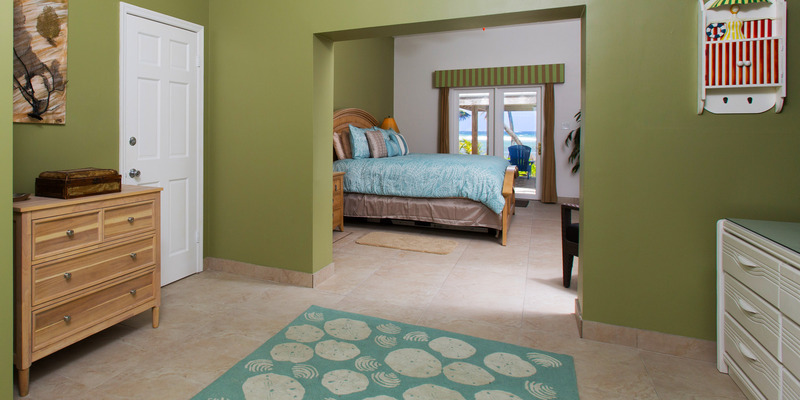 Oceanfront master suite with king bed, private ensuite bath with glass walled shower, and sliding door access to the pool deck. 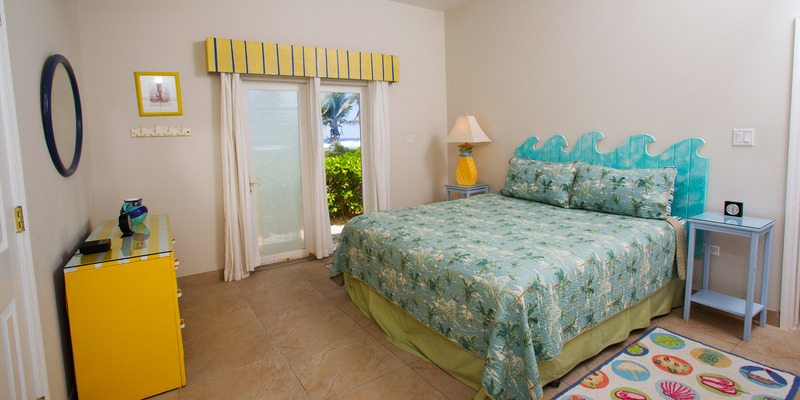 Oceanfront guest suite with king bed, dressing room, shared bathroom with shower, and sliding door access to the beach cabana. 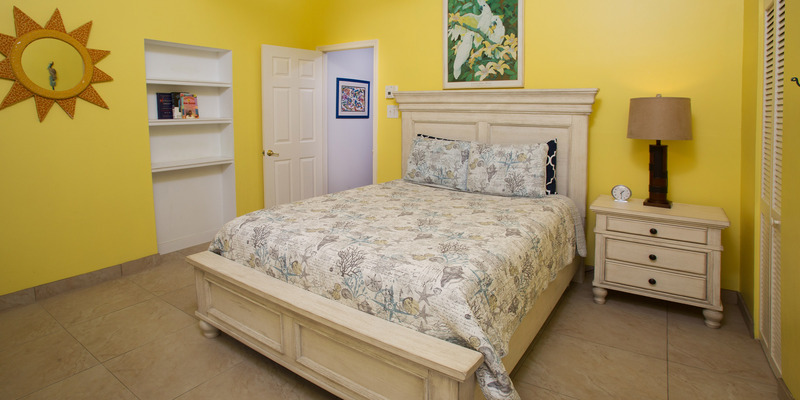 Twin Bedroom #2 also has garden views, 2 twin beds, and shares a bathroom with adjacent queen bedroom. Twin beds can be converted to a king bed upon request. 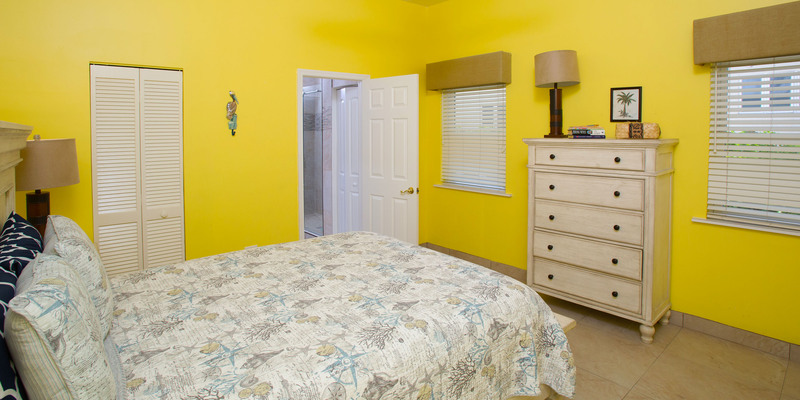 Queen bedroom sits off the dining area furnished with a queen bed and newly renovated shared bathroom with shower. The focal point of the main house is the great room. 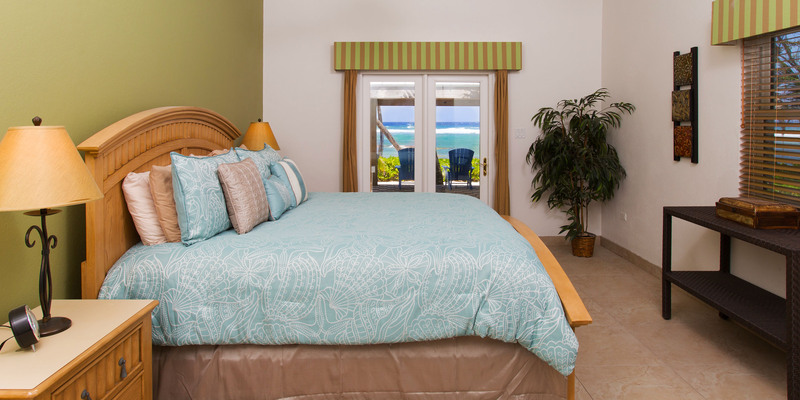 Connecting both bedroom wings of the villa, and opening on to an enclosed sun porch, the great room provides sunny ocean views throughout the living, dining, and kitchen areas. With its airy, open concept design the great room includes a dining table with seating for 10, a TV den with two cozy couches, and a full kitchen with breakfast counter seating for 6. A separate kids' table with chairs is provided for our tiny guests. 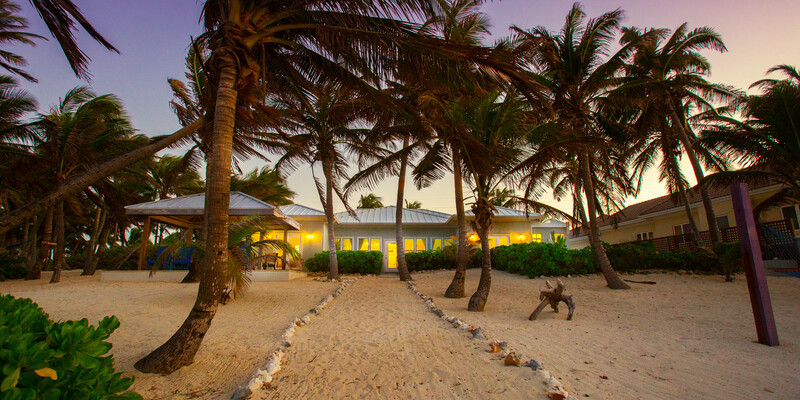 Outside, guests at Coconut Beach will enjoy the villa’s sandy, palm-shaded beach great for long walks, or lazy afternoons with your toes in the sand. 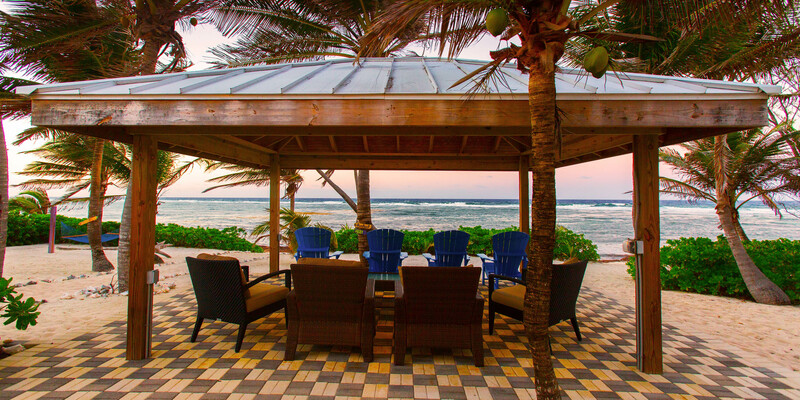 The villa’s wraparound patio leads to a new beach cabana with ample seating for sunset viewings. The pool deck is furnished with multiple loungers surrounding the villa’s freshwater plunge pool. 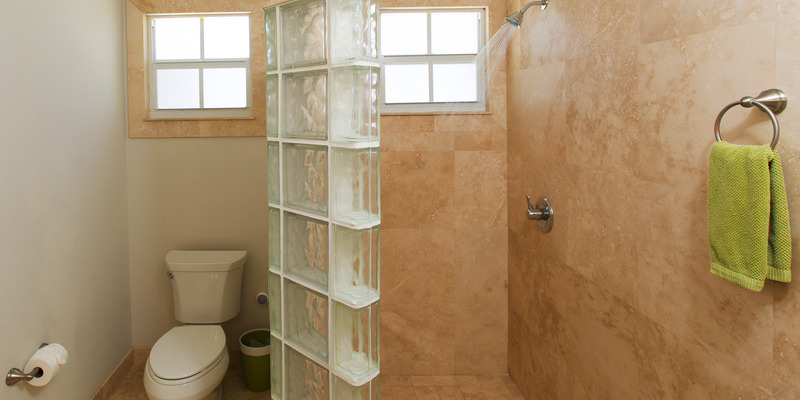 An outdoor shower sits off the pool deck to rinse off after a long day of sun and surf. Sited on a wide lot with lush landscaping guests will feel they’ve been whisked away to their own hidden garden by the sea. Newly expanded beach cabana with Adirondack chairs and patio seating. 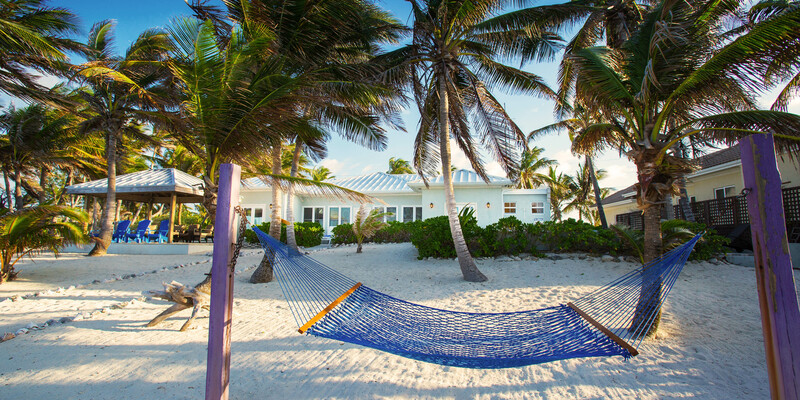 2 beach hammocks for afternoon naps by the sea. Excellent snorkeling just steps from the backdoor! A healthy marine habitat awaits beneath the waves—we recommend pool shoes or fins for foot protection. Freshwater plunge pool with plenty of loungers around the pool deck. 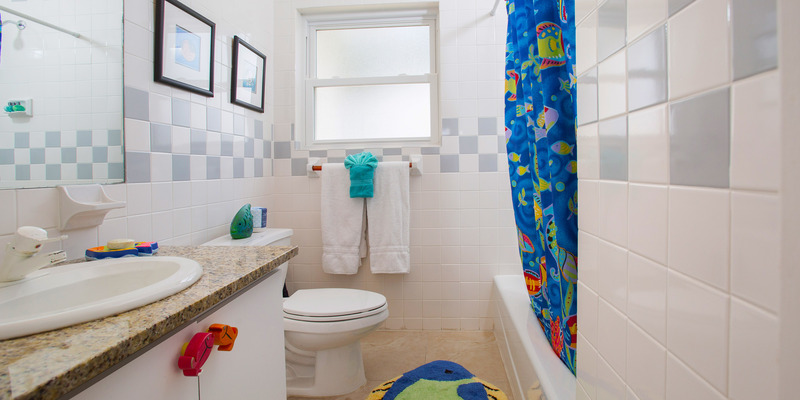 Great beach house vibe with an open concept great room providing plenty of room for the entire family. 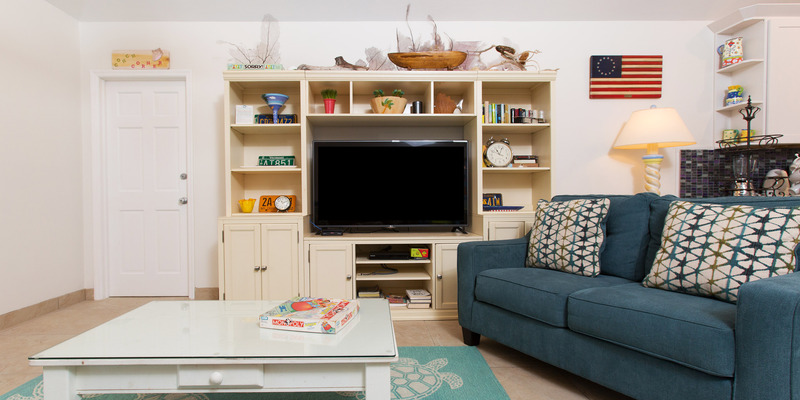 Large flat-screen TV and comfortable sofas for movie night after a day of sun and surf. 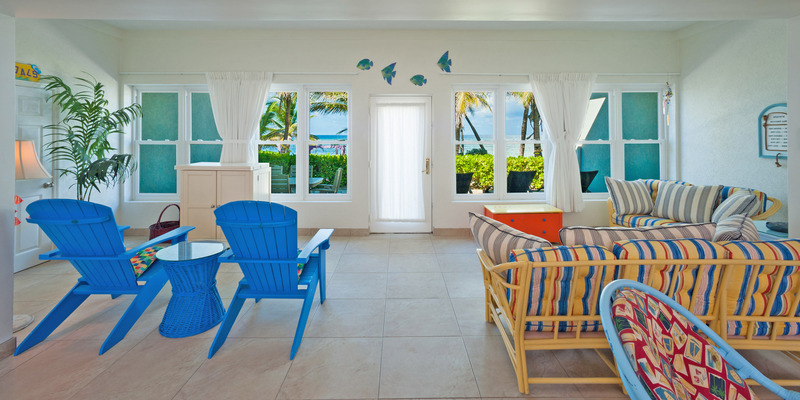 Enclosed sun porch with sofas and Adirondack chairs to enjoy the ocean views. Detached 1 bed/1 bath studio suite above the garage. 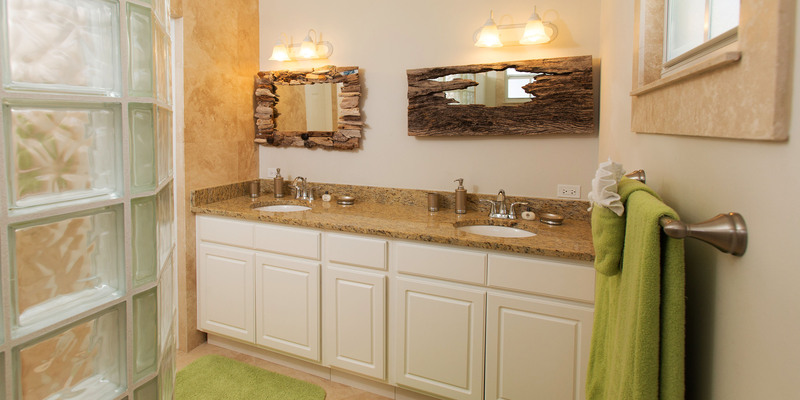 Suite is furnished with a queen bed, wall-mounted TV, loveseat, washer/dryer, and kitchenette with modern appliances. We loved the house and the pool and beach area!! It was perfect for our family. The kitchen was well stocked. The bedrooms were a perfect size. My husband and I stayed in the garage apartment and it was nice for us and quiet. I was concerned that the windows did not have shades but it turned out to be fine. I did see some ants in the apartment though. The trash was only picked up once a week. The internet seemed to not work properly especially in the evenings. I was concerned about the about of trash that washed up on shore. So on the last day I began to pick up trash and ended up picking up 3 bags of trash. I could have picked up one more bag but time ran out and we had to get ready for dinner. Where does all that trash come from? Cuba? Lots of shoes washed ashore!! overall, we loved the house though!! Loved our stay! We were worried at first because we read reviews about the guy living in the guest apartment above the garage, but that\'s not the case anymore! 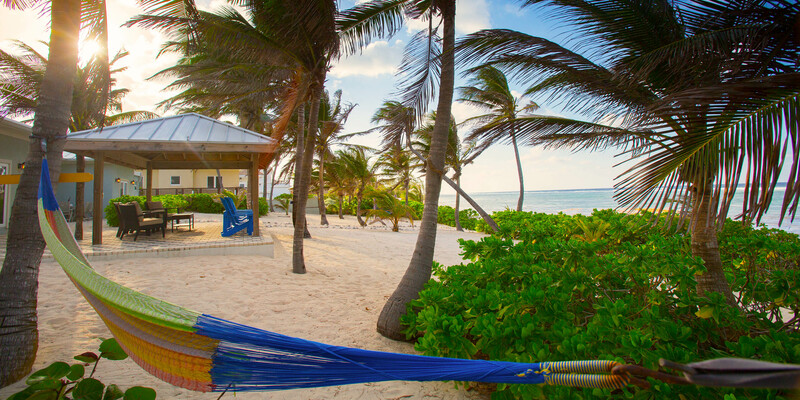 The house has one of the best beaches on Cayman. We kayaked and snorkel behind the house a lot! Loved that Silver Thatch had free snorkel gear for us and the kids! They had a great time at Starfish point which is really close by. It was the perfect family vacation home for us. Our new home away from home! The first thing we noticed upon arrival was the ocean of course! Crystal clear, swimming, kayaking and snorkeling. 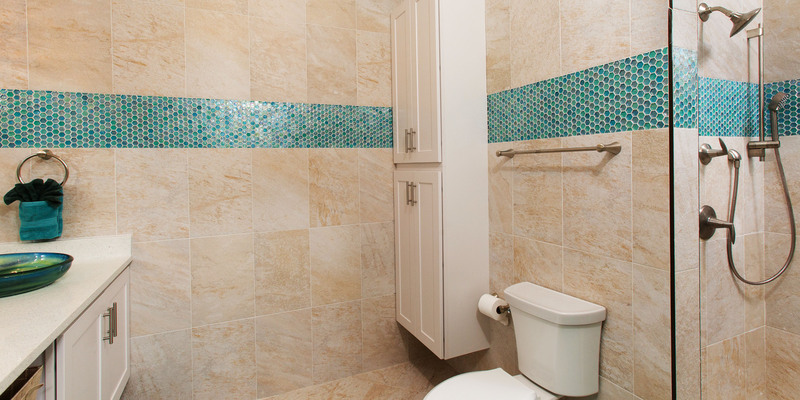 The home was well maintained and the manager was responsive when we had internet questions. 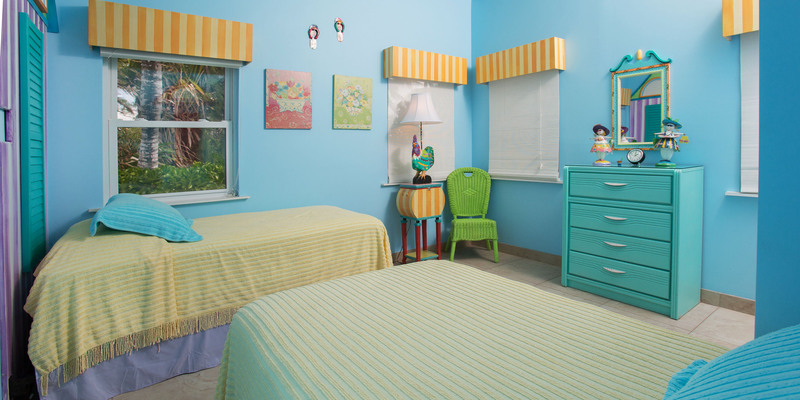 The bedrooms were quite comfortable and private from one another. 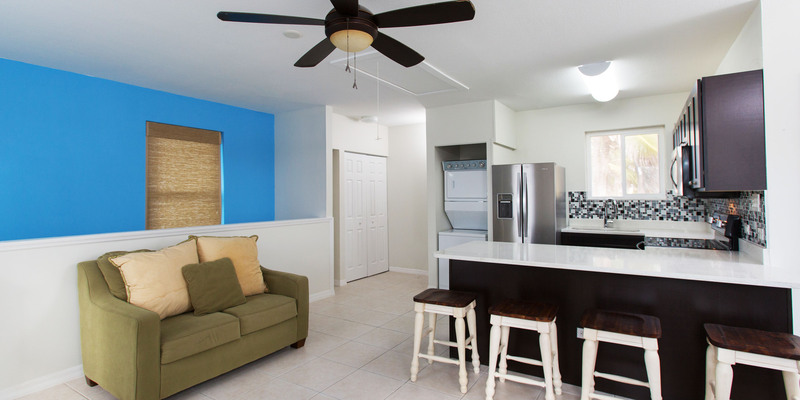 The living area was very nice and the above the garage apartment spacious and updated! There was a feud over who would get that bedroom/living area!!! Happy with the home, location, activities. The Silver Thatch center was not far away and a couple in the group were able to exercise daily in a well-appointed fitness center. The staff at Silver Thatch was wonderful - we used snorkel gear, cooler, baby items and other items. Very nice not to have had to pack those things. We did venture to Rum Point and Starfish Point several times. Rented jet skiis. Explored the island - the Crystal Caves ere recommended and we loved them! Thank you GCV for a wonderful vacation. We will be back! This marks our third time staying at Coconut Beach - first time reviewing however. There will be a fourth time!!! Our family loves Coconut Beach. 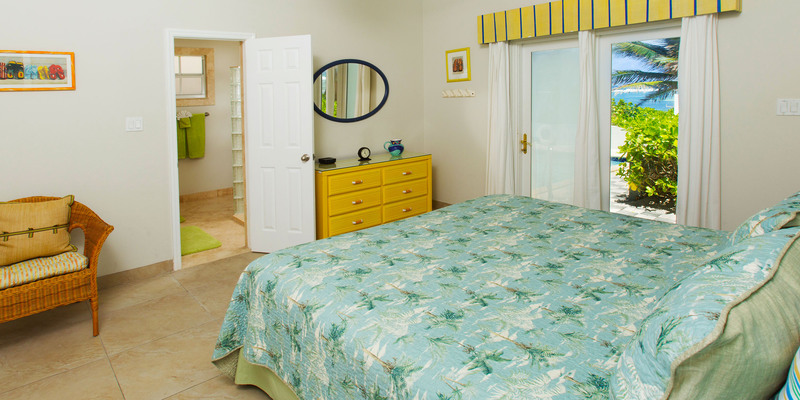 With the new 6th bedroom addition, we were able to bring more guests, and this vacation ranks tops for our family. We swam, kayaked and snorkeled every day. The marine life is fantastic with hundreds of fish, squid, couple stingrays and one small turtle! The north side of the island is wonderful for snorkkeling and we even went to Spotts Beach where we saw a dozen turtles!!! We dove with George at White Sand Diving and he also took up to the stingrays on the charter boat. Certainly all highlights of our trip. 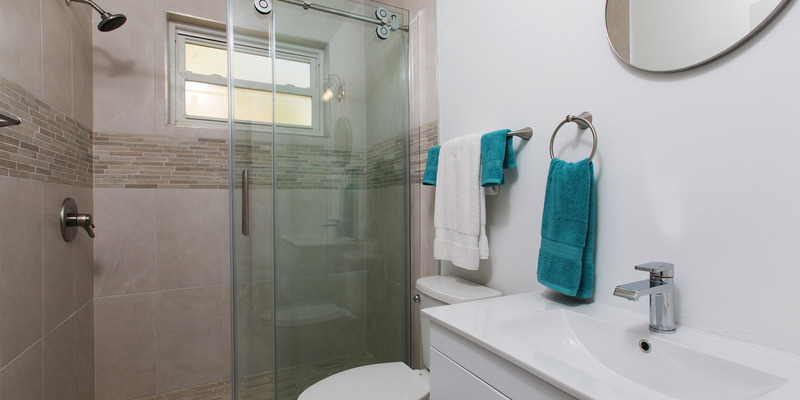 We find the home the perfect balance between home and cottage. The snorkel gear provided by the Silver Thatch was an added bonus and we used the discount card everywhere we went. Tukka is always a favorite - get there at 5pm to see the cooks feed tarpon, small sharks and frigate birds!!! Again, we will be back next year! We loved our stay on Grand Cayman. This was our second trip to the island. First time we were on 7 mile beach, and although it was beautiful there, we felt crowded... 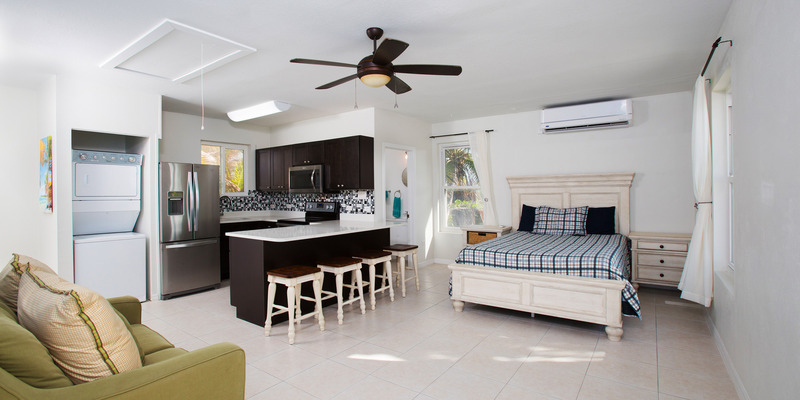 This time we rented in Rum Point at Coconut Beach and had a fantastic vacation. 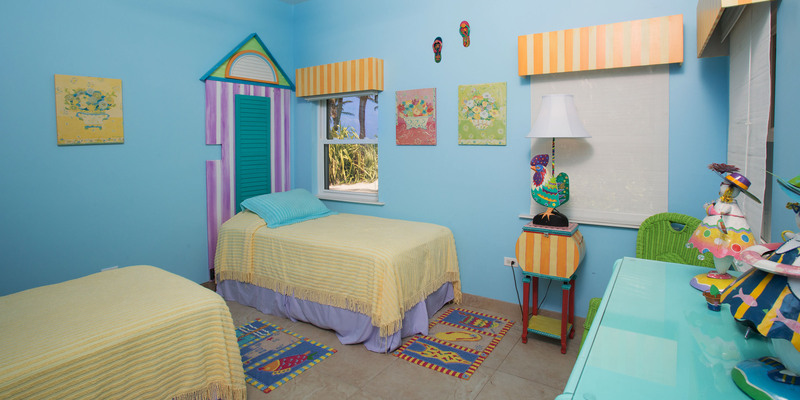 Privacy when we needed and lots of activities nearby - Rum Point, Kaibo, Starfish point, public beaches, snorkeling, crystal caves, east end beaches, on and on!!! We will likely come back to Rum Point going forward. We did still drive over to 7 mile beach for an afternoon to see friends there, but we were happy to get back to our piece of paradise!!! Thank You Coconut Beach! Fantastic memories for a lifetime! Getting away from mid-winters harsh weather! That was the goal! Goal achieved! Loved our stay and we will return over and over again. The home was wonderful, well-appointed, some games. Beach was nice and sandy and swimming was excellent - pool shoes necessary. Everyone kayaked daily and snorkeled off the kayaks, The water is not deep all the way out to the reef. The pool was refreshing. We had some caution with prior reviews about a medical student living over the garage, but no one was there during our stay!!! We were told the apartment was vacant, would be renovated, and available for rent with the home at a later date. All in all 5 stars for Coconut Beach!!! This house has the best beach!! We loved it. The beach is huge and nice and sandy. One of the girls in our group was proposed to on this beach! It was beautiful. We loved staying here. It feels like a cottage beach house even though it\'s rather big! 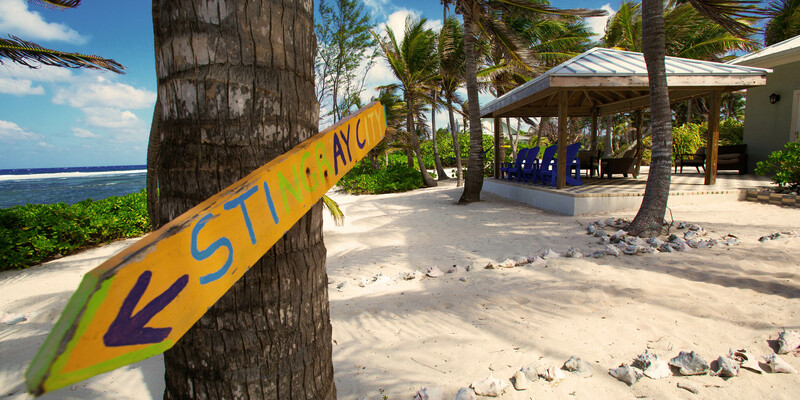 Starfish point is close by and so is the Rum Point Club! Spend a lot of our time and drinking money there!! Coconut Beach was the perfect location and beach for us! 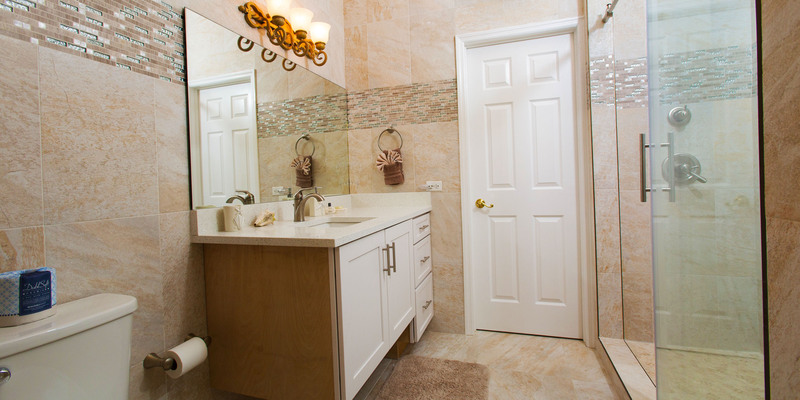 The layout of the home is comfortable and inviting and can easily accommodate families and friends with sufficient space to congregate. 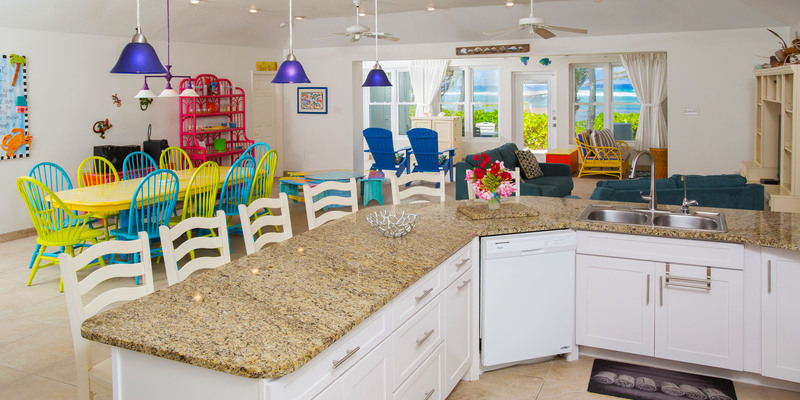 The kitchen is well stocked with all that you need and the outside is steps away from the ocean with space to sun and shaded areas for those who prefer to stay out of the sun. Rum point is a 5 minute drive. We loved our stay! Thank you for your kind words and choosing Coconut beach. 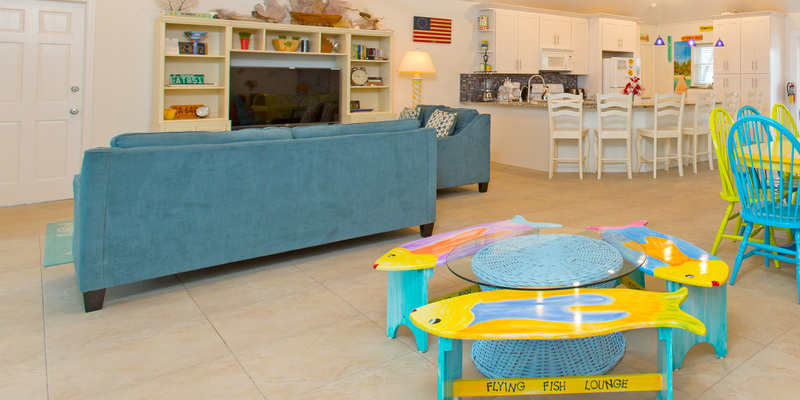 We have now added the garage studio apartment for future rental options to make Coconut Beach comfortable for larger groups! 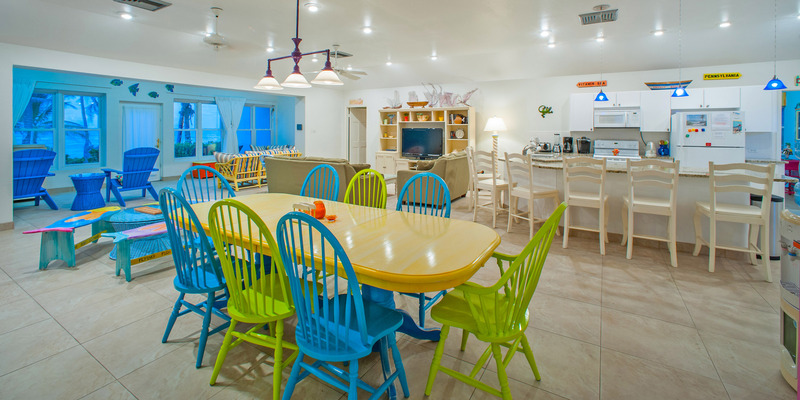 We recently enjoyed extended stay at Coconut Beach Villa. 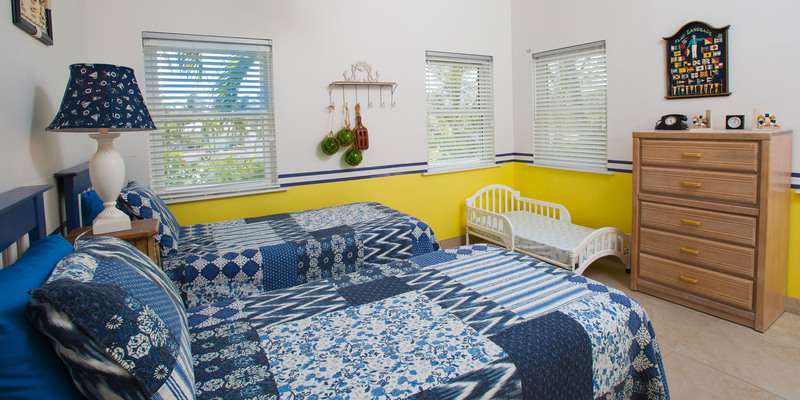 This is a charming beach home accommodating to one or more families. There was plenty of things to do inside and out of the home, including children\'s games and pool toys, a radio/karaoke machine, in addition to routine daily amenities. The rental company was highly responsive and accommodating. The Caymanians are amazing people. 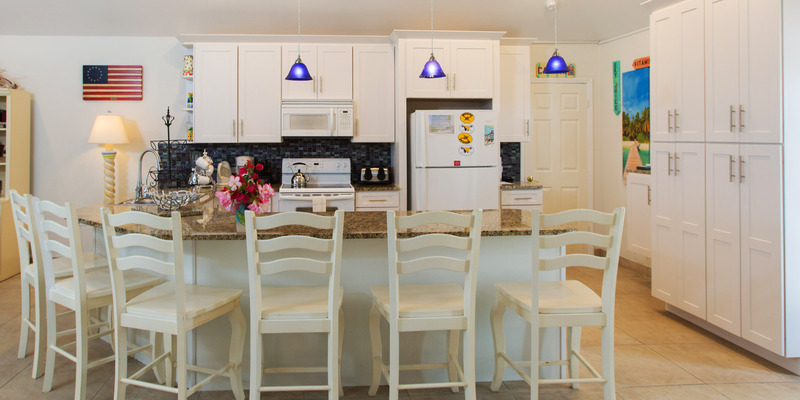 The location of Coconut Beach Villa is quick access to Kaibo Marina to book a charter to see Starry Point and Bioluminescence Bay or simply eat. We loved Rum Point Beach, a few minutes drive, to get tasty afternoon snacks and libations or to rent jet skis and paddle boats for our children. We also alternated driving to Seven Mile Beach to enjoy the park and a change of scenery. 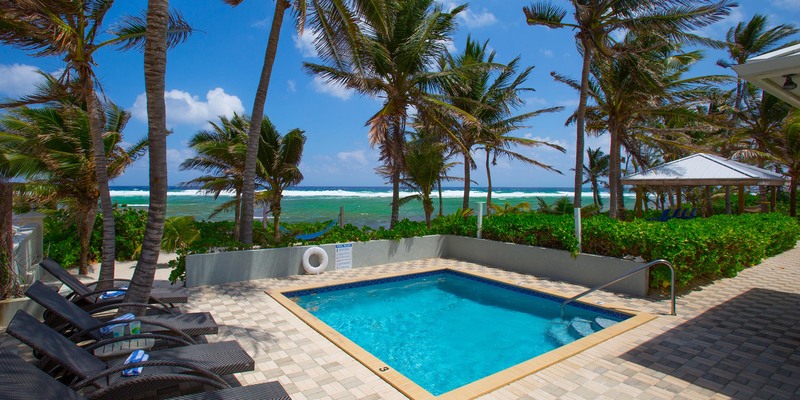 However, we were quite content to stay home at Coconut Beach villa, in its pool or the beach. We have many great family memories and will return. We went on a new years girl\'s trip to Coconut Beach! It was a nice and warm unlike New York in January ha! Our favorite part about the house was the beach! Spent every day out there. We also went to the Rum Point Club a lot for some afternoon drinks! Overall the girls loved the house and location. Can\'t get any better than having your own private beach! My 10 member family, four generations, 84/3 years of age. 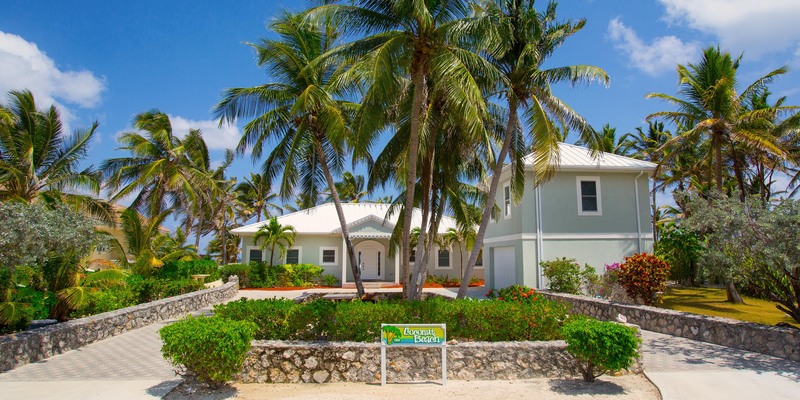 Visited Grand Cayman and had a great week at Coconut Beach villa. A week with family and felt comfortable all week. Pictures on the site, didn’t do this properly justice loved every minute we spend there. Enjoyed the north end and it’s wind, I will miss the wind, the palm trees on this beach front property. Would stay here again, thank you Grand Cayman. Thank you for your response. We had a storm and change in wind direction right before your arrival. 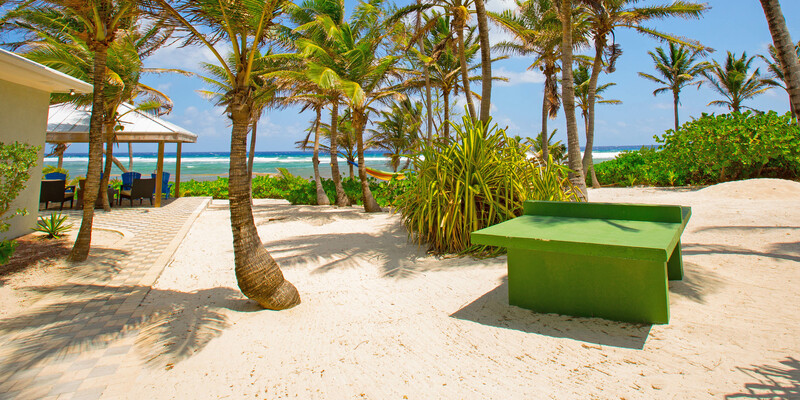 The beach was cleaned prior to your arrival. I wish you had asked Roy to have someone come back to clear the beach - he would have had someone over there. There was a Med student living in the garage apartment. He is gone now and the apartment is now offered as a 6th bedroom option for larger families. If not rented, it is simply locked off.